African pygmy hedgehogs are the new must-have pets in Britain. The eggcup-sized hogs have won the hearts of tens of thousands of British pet owners, who simply can’t resist their button black eyes and soft pink noses. 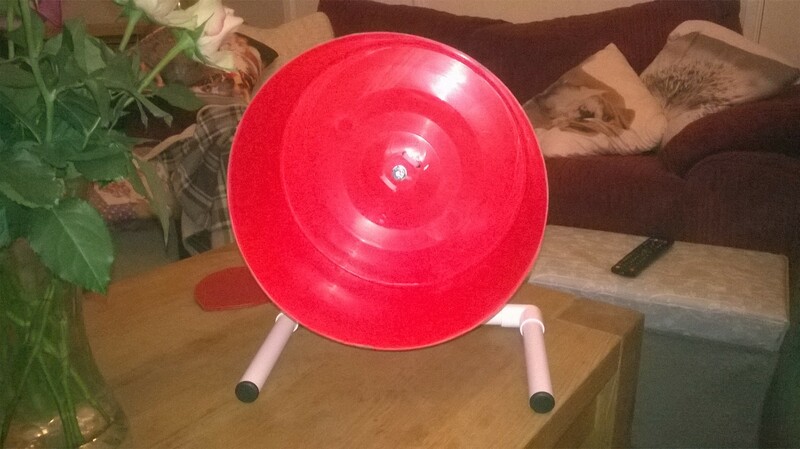 And a husband and wife team from Wiltshire have turned their love of the spiny pets into a business, using Buy Buckets plastic buckets to make exercise wheels specially for African pygmy hedgehogs. 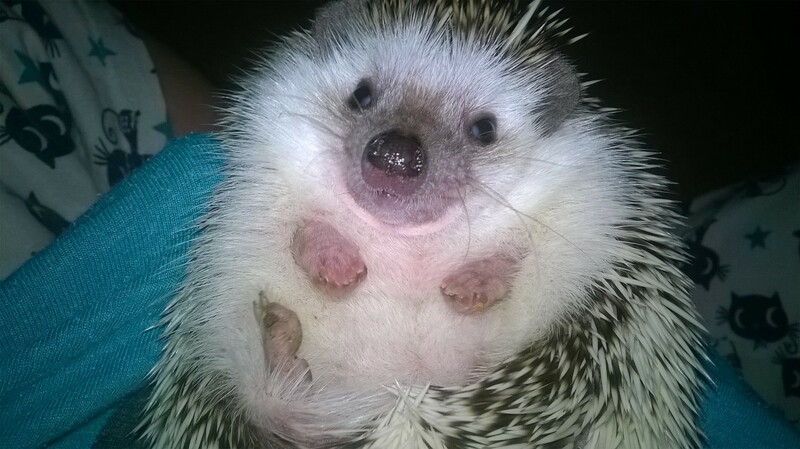 Despite their exploding popularity, African pygmy hedgehogs still don’t have an established range of accessories in the major pet stores. This gap in the market has opened the door for entrepreneurial hedgehog enthusiasts like Amanda Mitchell and her husband Stuart. 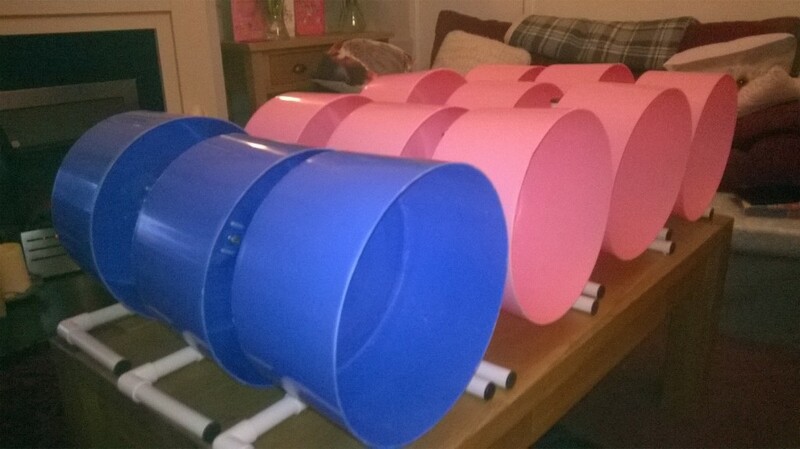 When the couple couldn’t find a good exercise wheel for their 11 hedgehogs, they decided to take matters into their own hands and make their own using brightly coloured plastic buckets and scooter wheels. As pets, African pygmy hedgehogs tend to live in vivariums, but they can run up to five miles each day, so they need exercise wheels to keep active. And because they are nocturnal creatures, their wheels need to be silent. Amanda told us: “Finding a suitable wheel in the UK can be difficult, the major manufacturers don’t make specialist ones for pygmy hedgehogs. There are some that you can buy for rats and other pets but they’re usually difficult to clean, which is a problem because pygmy hedgehogs are pretty animals. Amanda and her husband make the exercise wheels by cutting down and sanding a plastic bucket, before mounting it on a plastic frame with a scooter wheel mechanism acting as the rotator. After sourcing plastic buckets from a number of suppliers, they chose Buy Buckets because they produce straight sided containers, in lots of different colours, at a reasonable price. Amanda said: “The straight sided containers are better at holding the weight of our pygmies. Not many other bucket manufacturers make buckets with straight edges. People buying our wheels also seem to really like the bright colours. The baby pink is particularly popular with female hedgehog owners. Buy Buckets containers are also food-safe meaning that it’s ok if the hedgehogs decide to nibble on the edges. 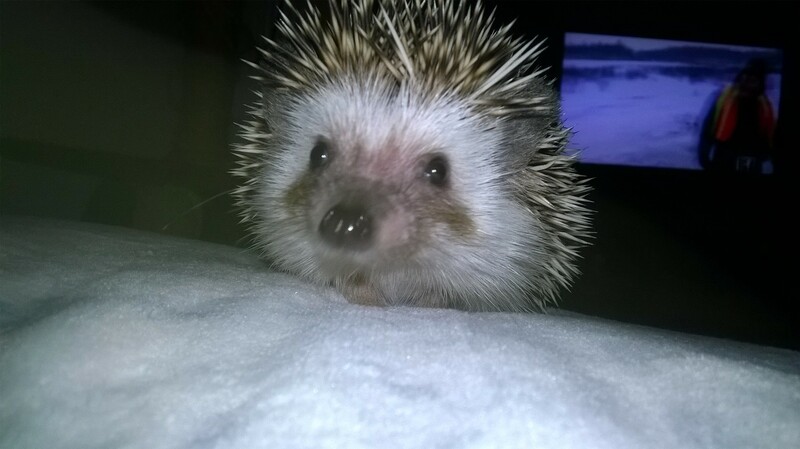 The Wiltshire-based husband and wife team has so far only sold wheels to other members of the African pygmy hedgehog owning community, but they are looking to grow their ‘cottage industry’ business by opening a Facebook page and starting a website in the coming weeks.